Our company is known for providing quality products, so we are totally focused on maintaining higher quality standard in our range of products which are available in the market in bulk. For this, a comprehensive policy has been developed by us. Further, customers purchase our products due to their quality and pocket friendly rate. Our company possesses a sound infrastructural facility, equipped with advanced machinery and all requisite amenities. It spread across a major landmass and is categorized appropriately into several units, which include production, quality control, administrative, sales and marketing, warehousing and packaging and many more. Our aim is to provide best quality Out Door Wicker Furniture Products at affordable prices. Keeping this in our mind, we are consistently working to develop products in innovative ways that can cater for all types of customers. And we envision being the Leading Company in this sector all over the country. As of now we are expanding our customer base, trying to build business relationships and franchises, with the help of it, we will be able to showcase and supply our products anywhere in India. Every day brings us a challenge to step closer to our vision and we believe in the philosophy, “Be not afraid of growing slowly, be afraid only of standing still”. We are authorized dealer for the brand “Out Kraft”. “OutKraft” is the symbol of Quality and Creativity we apply on our products. Under this brand name, we have focused on producing on high quality range of Wicker Rattan Furniture products. And for this, we are constantly working to develop and improve Wicker Furniture Quality Wise. We believe innovation is an integral part of any business or product development, not just in terms of looks, style and design, but also durability, comfort and affordability. Our Objective is to cater to the needs of clients in the Out Door Furniture segment. Our team is built up of expert professionals working under CEO Manav Sanghi. As a Team we are focused on e Commerce Platforms, B2B Platforms and we use Digital Marketing Platforms to get close to our customers. And at work we are completely focused on making processes simple, whether it is marketing, both online and on field, or the sales process or delivery process. For this we are equipped with every needed tool and means in terms of infrastructure and human resource. 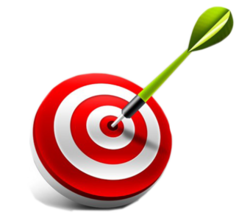 For marketing we are focused on all platforms, viz,. Retail Showroom Sales as well as Online Sales, B2B Sales etc. OutKraft Offers customized products as per the requirement of the customer in Wicker Outdoor Furniture Range. So, under customization option we manufacture the product as per the guidelines provided by you. Your requirement may be Coffee sets, Sofa Sets, Garden Swings, Hanging Chairs, Garden Umbrellas, Gazebos/Canopies, Sun Lounger, Day Beds Or any other product. · Frame structure, material and style. · Wicker material details like size, color, quality etc. · Cushion size, fabric, quality etc. 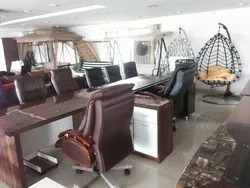 · Customization of sofa sets or coffee sets or other products can be given by letting us know the number of chairs and tables you require and the size of the table etc. We offer customized solutions for repair services for any Wicker Outdoor Furniture you have. We repair Coffee or Sofa Sets, Garden Swings, Hanging Chairs, Garden Umbrellas, Gazebos/Canopies Or any other product. Just let us know the details of the product and what you want us to do for it, and we shall get it done as per your requirement. Our company is reputed one regarding repairing services. We cater all types of sectors that require any type of Wicker Out Door Furniture like Gardens , Parks, Resorts, Pools, Beaches, Lounges, Hotels, Residential Spaces, etc,. To Deliver Best Quality Products And Services to the customer. · Outdoor Wicker Sofa Sets, Outdoor Coffee Sets, Garden Swings, Folding Chairs, Hanging Chairs, Outdoor Furniture, Beach Garden Umbrella, Outdoor Gazebo, Canopy Tent’s, Sun Loungers, Day Beds and Garden Furnitures. High-density polyethylene (HDPE) is used for preparing Raw Rattan and this is a new technology plastic product offering replacement to older form of plant products. The synthetic raw material and then the product obtained from this material, for example any finished furniture, is more durable, long-lasting, resistant to all climatic conditions like water from rain, humidity, sunrays and UV rays emitted from it. As a result the product is least prone to earlier damage because of natural conditions. More over HDPE products are environment friendly and recyclable, which is a step closer to Greener Earth. Our payment term is 30% at the time of placing order and the rest 70% payment must be done after completion of product manufacturing. We accept Cash Against Delivery (CAD) , Cash On Delivery (COD), Cash in Advance (CID) , Cheque, Letter Of Credit (L/C), Letter Of Credit At Sight (Sight L/C), Telegraphic Transfer (T/T), Western Union etc. Our brand “OutKraft” for outdoor furniture is a synonym of quality and comfort for its durability, affordability and customer oriented products. We take utmost care and regard for customer’s comfort and satisfaction. By doing this, we are trying to redefine Outdoor and Office comfort in this era. 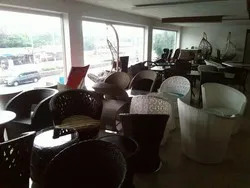 We welcome from you, any type of query related to Outdoor and Office Furniture. And also, you can pay a visit to our grand showroom, located in the heart of the Pearl City, Hyderabad. We will be glad to serve you catering to your needs with our variety of products.